UnLtd has appointed former IAB chief Paul Fisher as CEO, to lead its continued efforts in undoing youth disadvantage on behalf of the industry. Paul was CEO of the IAB for five years from 2008, leaving the industry body in 2012 for an APAC regional role leading Nielsen’s Media business. 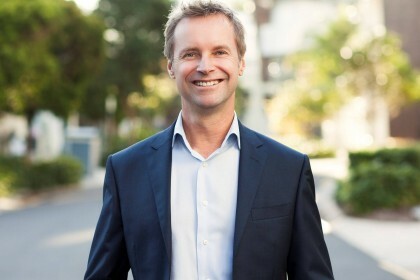 He is currently consulting to the IAB and serves as a non-executive director with UNICEF Australia. UnLtd Chair Kerry McCabe said, “UnLtd’s vision is that everybody in our industry – from our most influential leaders to those starting their careers – has a reason and an opportunity to impact this huge social issue using the platform UnLtd has created. “Paul’s passion for what we stand for, coupled with his commercial nous and network will be invaluable. It takes a rare mix of skills and experience to successfully lead an entity like UnLtd. Our board and staff are ecstatic to have secured a leader as capable, respected and culturally suited,” said Kerry. “We have a big second half planned for ‘16 with the goal of increasing industry engagement, launching new revenue initiatives and piloting UnLtd One, our technology-enabled social impact platform that leverages the best of crowd sourcing, crowd funding and social media to match industry talent and resources with very specific charity partner needs,” he added. Steve Taitoko, contracted in 2015 to lead the organization will move into a pro-bono strategy role with UnLtd at the end of the financial year whilst focusing on his commercial ventures. “I believe in the unlimited potential of this industry to own this cause and change young lives every day. I will remain closely connected to this incredible organisation, its remarkable charity partners, and the game-changing strategy we have developed over the past six months,” said Steve. Paul will commence with UnLtd on 4 July. UnLtd has raised in excess of $14 million in cash alone since its launch in 2008 and delivered over $24 million in valued resources to over sixty youth focused charities. In FY16 to date, more than 120,000 young lives have directly benefited through industry support.